Can you make money with Acti-Labs? I believe under the right circumstances you can make money with Acti-Labs, but I don’t think this business opportunity is for everyone. I think the majority of people interested in selling Acti-Labs products will have a tough time making a sustainable income. The fact is the cosmetics industry is enormous. Its HUGE! 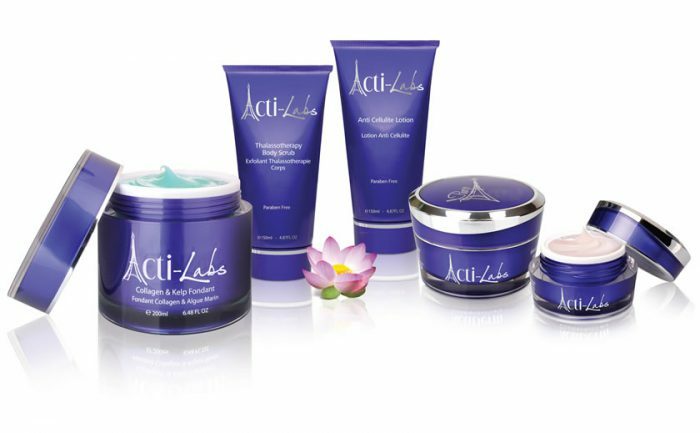 You absolutely can make money selling cosmetics (because people are buying) but I do not believe that Acti-Labs is the best business opportunity for you simply because their products just aren’t that competitive. Interested in selling cosmetics? Learn how to earn commission selling any cosmetic you want! What Will You be selling with Acti-Labs? Aside from some unique product names, the products themselves aren’t really anything groundbreaking. But I will admit that Acti-Labs does a pretty good job with marketing and presenting their products in a appealing way. From the packaging to the origins of the products themselves (France 🇫🇷), Acti-Labs instills the idea into the consumers mind that what they are purchasing is high-end. When it comes to cosmetics, high-end products is what sells. As a potential peddler of their products, these little science based talking points are great from a sales perspective. They give you something to discuss with the consumer, and they help the product stand out a bit from the thousands of other products just like it. At least in the consumers mind. Hopefully! Okay, so all that sciency, sales pitch jargon gets you an interested consumer. But how are the actual products? As I already mentioned, the products aren’t all that groundbreaking unfortunately. The science talk is great and all, but the ideas are all quite similar to what is already available on the market. Remember the high-end image that Acti-Labs is trying to create? Well with that high-end image comes a high-end price tag for many of the products. The prices will vary depending on the item of course, but I noticed that a lot of the products were quite a bit more than similar products from other companies. With that being said, I don’t think that the prices alone will make selling the products difficult. After all if you are targeting high-end clientele, they will be accustomed to these prices. If you are hoping to sell the products to consumers on a limited income, I would say you are barking up the wrong tree. Out of curiosity I tried finding some reviews of Acti-Labs products. Most of my attempts came up dry oddly enough. It was almost like there wasn’t a whole lot of people that purchased their products to even leave a review. Good or bad. That doesn’t necessarily mean that people aren’t buying. Maybe consumers just aren’t actively leaving reviews. Who knows. Is Acti-Labs a good business opportunity for you? The potential for making sales and earning commission exists with Acti-Labs but I believe most people will struggle to make significant long-term income with the program. There is also the possibility of earning through team commissions. This means that you earn a certain percentage of any sales that are made from people that you recruit into the Acti-Labs program. 5 Carat: 3% from first generation, 4% from second generation, 5% from third generation, 6% from fourth generation, 7% from fifth gen.
As you can see the earning potential can be pretty great through team sales, but don’t be fooled, building a big team is going to be very difficult for the average person. That’s true for pretty much all MLM programs though. So, does selling with Acti-Labs work? Sure, if you dedicate yourself to selling the products you can certainly make a profit with the program. Do I think there is long-term earning potential with Acti-Labs? No, not quite. But in my opinion that rings true for all MLM programs. I’m personally not a fan of MLM programs simply because I know that there are far better ways to earn a living with your own business. If you are unsure if Acti-Labs is the right business opportunity for you, or are interested in learning about other ways to make money with your own business, check out a training program that is my #1 Recommendation for building a profitable home-based business. Thanks for stopping by to check out my Acti-Labs review. If you have any questions or comments, please leave them down below.